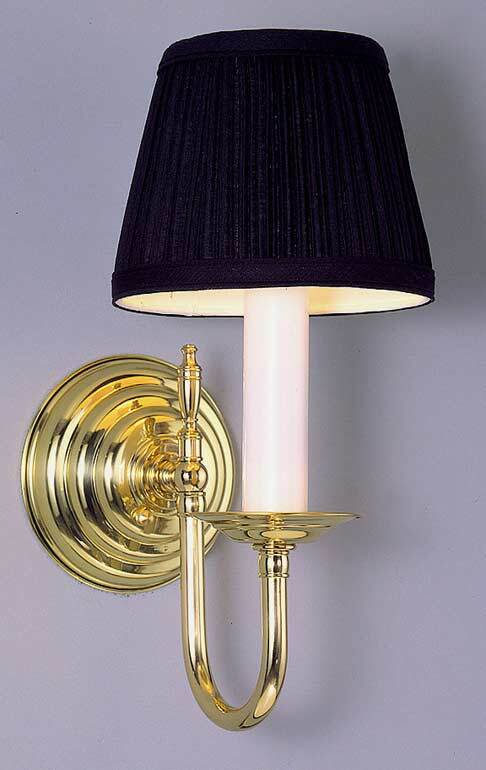 Vibrant in polished brass, this lovely Colonial style wall sconce is great for the hall, library, study or powder room. Simple and refined. Width 6 In. / Projection 9 In. / Depth 13 In.